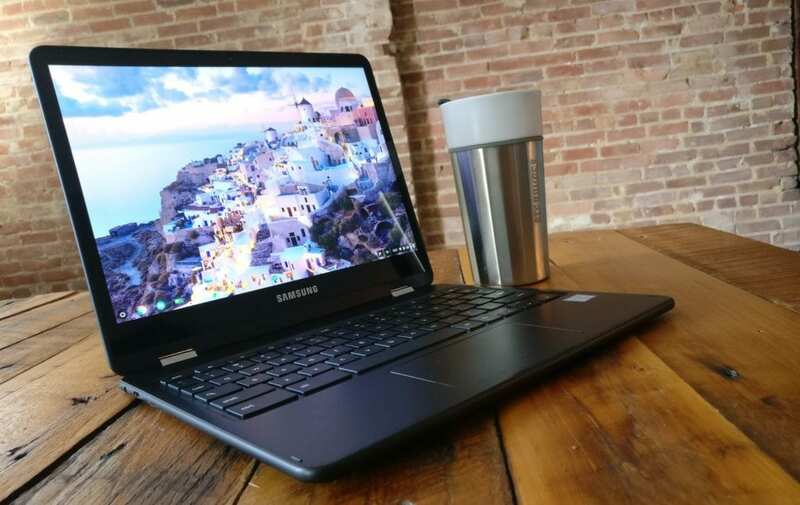 You might have seen Gabriel’s reference to this earlier today, but we have the production model Samsung Chromebook Pro in the office now. I’ve spent the entire work day with it and I wanted to give everyone a few tidbits about what my real-world first imporessions are. I’m going to respond to this tomorrow and I’m not saying this is false. But I can tell you after putting this thing through more stress than it should be able to handle, it has performed admirably. Perhaps they recieved a lemon? Perhaps I got a good one. The bug needs to be dealt with for sure, but telling people not to buy things seems a little extreme. Again, more on that tomorrow, but I wanted to at least say I’ve put this thing under WAY more stress than that article describes and there were no crashes. What has excited me more than anything with the Pro is the performance. With tons of tabs open, this thing simply kills it. Scrolling stays smooth, animations in the UI are silky, and everything feels snappy. I’m coming from the 2015 Pixel and there is literally no difference in overall performance. The 4GB of RAM have been plenty to get me through a pretty heavy day at work, so I’m impressed. The hardware holds few surprises. We all know it’s simply a black version of the Samsung Chromebook Plus. The black is very tasteful, though. I think it provides a better overall look than the Plus when the device is open and the black bezels simply bleed into the black of the chassis to create a very handsome profile. The keyboard feels a little more firm and less clacky than the Plus and the trackpad has been fantastic. Great click, travel and oil resistance. I’ve not wiped it off at all today and it still glides along perfectly. The screen is just as beautiful as the Plus, but the black surround makes things feel a bit more immersive. When I saw the mock ups of this device, I wasn’t excited at all about the black finish. In person, I love it. We have Android 7.1.1 in stable right out of the box. We knew that would be the case, but it is good to see it anyway. What we don’t have is resizable apps. Everything opens in a phone-shaped container and works just fine. I’ve not had any compatibility issues thus far, but in preparation for resizable apps, it seems the landscape/portrait selection is either gone or not working. So you basically get a phone-sized app or a full-screen app. This doesn’t really bother me since most apps aren’t ready for the big screen yet. I do think the behavior will be a bit odd for consumers getting this device in the next few days. Maybe it won’t feel strange at all. Here’s hoping resizing comes sooner than later. One nice addition is apps that go full-screen and immersive on your phone will default to that state on the Chromebook. So, Modern Combat 5, for instance, opens up and hides the bar up top without the need for you to hit any keys on the keyboard. We’re still a little while out before this all becomes clean and cohesive. We’ve all been waiting and Google has not delivered as fast as they promised, but things are moving forward every day. I’ll be straightforward: I wasn’t crazy-excited about the Pro showing up. Don’t get me wrong, I was happy to get one for review and happy to take another look. I just wasn’t excited like I was back in January. On day one, however, this device has done nothing short of astound me. From the fit and finish to the performance, I’m loving it all! Sure, the Android parts are still off-base, but until Google pulls off that Beta tag, I’m tempering my expectations. As a Chromebook and overall computing experience, this Chromebook is showing itself to be a beautiful convergence of design, usability and price. 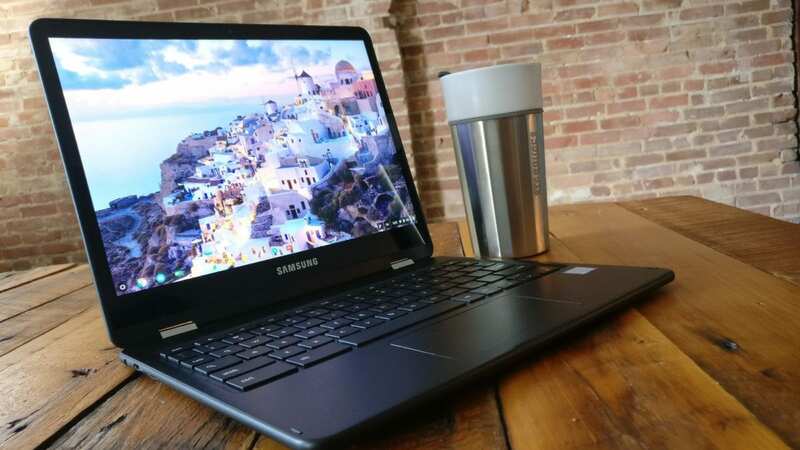 Stay tuned for more on the Samsung Chromebook Pro, including side-by-sides with the Plus, Android app compatibility tests, and a re-review.